This was the reaction of militant labor group KMU (Kilusang Mayo Uno) Metro Manila to the announcement of Meralco (Manila Electric Company) on Thursday that power consumers will enjoy lower electricity rates on their billing this month of June. Members of KMU Metro Manila, Defend Job Philippines, and other consumer groups stormed the Meralco Business Center in Manila today to hold a ‘Black Friday Protest’. Today is the 17th anniversary of the EPIRA (Electric Power Industry Reform Act) Law. 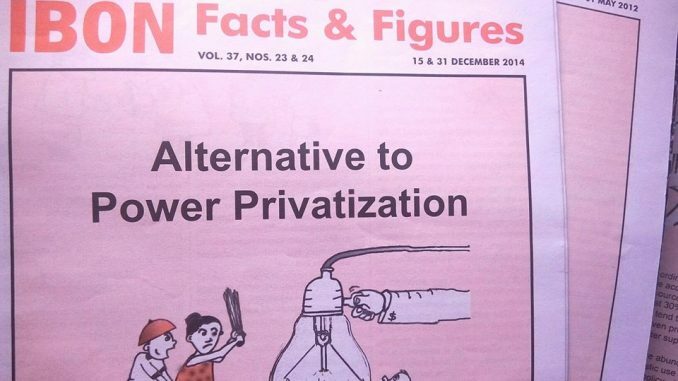 Protesters called for the immediate junking of EPIRA Law as they pointed out that the law did not realized its objective to lessen electricity cost in the country. The groups decried that a single centavo increase of Meralco on its power charges will be unacceptable and unjust. 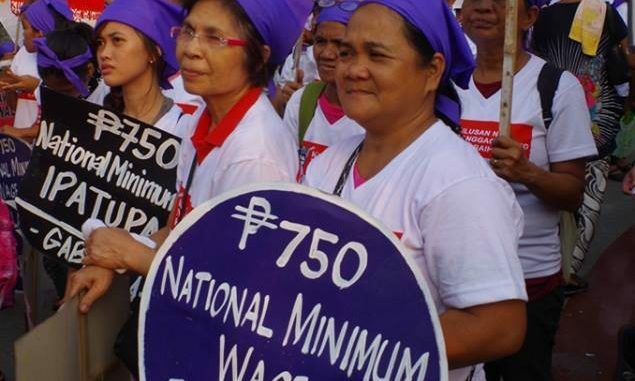 Poor Filipino workers and families have been carrying on the vast impacts of low wages and high prices of basic commodities and services due to President Duterte’s Tax Reform for Acceleration and Inclusion (TRAIN) Law. By the end of May, Meralco told its consumers to brace for higher electricity rates in June as the ERC (Energy Regulatory Commission) approved the electric company’s petition to increase its Feed-In-Tariff Allowance (FIT-ALL) to 25.63 centavos and as energy reserves of the Luzon grid declines. “Amid high prices of primary goods, products and services due to the TRAIN Law and other anti-poor policies of the present government, another burden caused by any power rate hikes would be President Duterte’s kiss of death against our already burdened workers and people,” said KMU Metro Manila chairperson Ed Cubelo. KMU Metro Manila casted doubts to the statement of Meralco, and said that this is only Meralco’s move to pacify the mounting protest of poor Filipino workers and consumers to the company’s looming higher electricity rates up to P5.22/kWh once the ERC approves the seven power supply arrangements (PSAs) deals, which the group sees “questionable” and called it “cross-ownership sweetheart deals,” as it is said to be Meralco’s own sister companies, subsidiaries and affiliates. Two weeks ago, Bayan Muna Partylist Representative Carlos Zarate exposed seven PSA deals of Meralco with the following generation companies for the construction of coal-fired power plants including: Redondo Peninsula Energy Incorporated (225-megawatt [MW]); Atimonan One Energy Incorporated (1,200 MW); St. Raphael power Generation Corporation (400 MW); Central Luzon Premiere Power Corporation (528 MW); Mariveles Power Generation Corporation (528 MW); Panay Energy Development Corporation (70 MW); and Global Luzon Energy Development Corporation (600 MW). Zarate said that high prices of coal and the sharp depreciation of the peso against the dollar will be factors for Meralco customers to carry the burden of a P5.22/kWh increase from these contracts. He added that only P3.67/kWh would be the supposed average cost of the electricity generation. Zarate sees a P1.55/kWh overprice which he said would cost millions of Meralco consumers P54.54B in additional charges yearly. 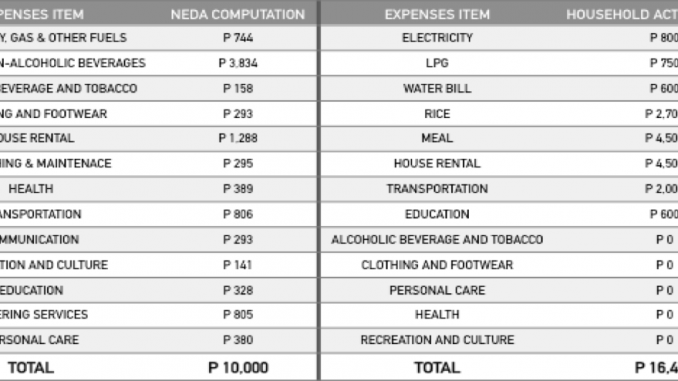 “Data shows that poorest households in Metro Manila will not survive to what NEDA believes to be a livable monthly budget just to create an illusion that the Duterte government’s TRAIN Law has no significant effect to the lives of ordinary Filipinos,” Ser Christian Yamzon, executive director of Defend Job Philippines said. The post Groups wary over Meralco’s announced lower power rates this month appeared first on Manila Today.